As we have illustrated in this chapter, on balance analogies are a friend to teachers and students alike but as we emphasise, analogies can be double-edged swords. In order that analogies are used as an effective tool in a science teacher’s repertoire, knowledge about their pedagogical function is essential. an appreciation that not all learners are comfortable with multiple analogies because the epistemological orientation of some is to expect a single explanation for a phenomenon. 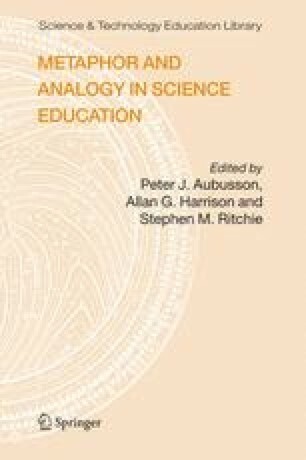 Additional understanding of how analogies can be optimally used in class can be derived from the history of scientific discovery and from accounts of the ways experienced science teachers use analogies. We do not wish to claim that analogies used in science classrooms will necessarily improve both science teaching and learning. Still, research has compellingly demonstrated that, when used effectively, analogies are a valuable pedagogical tool in teachers’ repertoires and this enhancement of practice is our aim in writing this chapter.